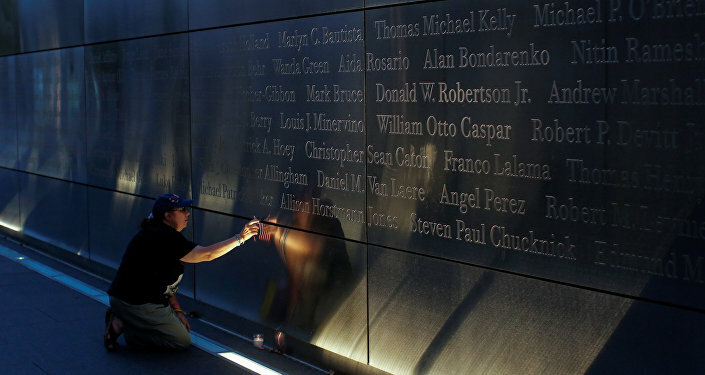 The US House of Representatives approved a bill on Friday that paves the way for families of 9/11 victims to sue Saudi Arabia for allegedly sponsoring the September 11 attacks. Radio Sputnik discussed the JASTA bill with Andrew Maloney, attorney at Kreindler & Kreindler law firm, who represents 9/11 families. “The legislation itself doesn’t single out the Saudis. It doesn’t single out anybody. It simply says that we have the right to pursue our investigation, conduct discovery in the traditional way that you would in a civil case and if we have enough evidence, have a trial in New York and have a judge and juries decide the facts,” Maloney said. The vote came after Congress released 28 declassified pages from a congressional report on 9/11. The revealed documents reignited speculations over possible links of plane hijackers to Saudi government officials. Maloney further spoke about Obama’s statements which clearly suggested that this information puts Saudi and US relations in jeopardy. “His concern as I take is because he knows that we will now go forward in our lawsuit against the Saudis, for what we believe was their participation in aiding and abetting al-Qaeda terrorists to attack the United States. So legally speaking it doesn’t name the Saudis. But practically speaking it allows us to continue our suit against the Saudis,” the attorney said. The attorney mentioned that he doesn’t think that this investigation is going to open pandora's box because it is narrowly drafted to be very specific. “There is an exception carved out for acts of war if a nation goes to war with another nation but this does not fall into the preview of this stature. This is only for terrorist attacks on civilians,” Maloney concluded. Obama has previously threatened to veto the bill, arguing the United States could be liable to similar terrorism-related lawsuits by other countries. JASTA clarifies existing US law and guarantees citizens can bring suit against any foreign nation that provides material support for a terrorist act on US soil or affecting US persons. The act will also enable families of September 11 victims to bring a federal court case against the Saudi government for allegedly providing support for the September 2001 attacks. The Saudis were previously granted sovereign immunity and did not have to appear in a US court. Sunday marks the 15th anniversary of the 9/11 terrorist attacks on New York City's World Trade Centre and the Pentagon in Washington.